Audiences love when Hollywood makes a “based on a true story” movie. It’s always titillating to see a real story projected on the big screen. But sometimes Hollywood-izing these stories alters the facts in order to create a better story. In 1978, Billy Hayes’ “Midnight Express” was given the movie treatment recounting his time in and escaping a Turkish Prison. As always, there were discrepancies between the book and film. But if you’re looking for the real facts, who better to share it than the man who lived it. 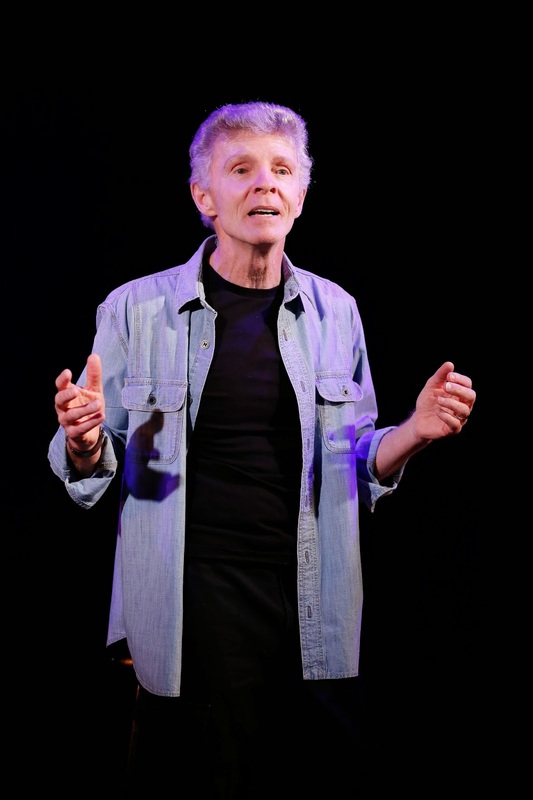 In Riding the Midnight Express, Billy Hayes gives his story the solo show treatment. Riding the Midnight Express explains the unHollywood version of his incredible story. Riding the Midnight Express is an engaging story told from the man who lived it. With a movie adaptation that is so recognizable, there are still some who don’t know Billy’s story. What Hayes’ does well is he tells his story in such a way that first-timers are invited into the tale just as equally as to those who know what’s coming next. Where the piece falters is it’s overall theatricality. From start to finish, it longed for more theatricality, perhaps simply through projections. With Hayes’ soothing voice, Riding the Midnight Express felt more like a book on tape live tour then a piece of theater. Despite this, Hayes’ is still an incredible storyteller. He paints a vivid picture, bringing the audience right into the action. Director Jeffrey Altshuler aids Hayes’ tale discovering the moments of when Hayes needed to be physical active or grounded. With just a story as the driving force, keeping momentum is essential, and Altshuler and Hayes did a great job. They literally made the audience want more, begging for Hayes to continue his tale after the curtain call and during the question and answer. Riding the Midnight Express is a captivating story told by the man who faced the nightmare. It’s always an interesting experience for an audience to watch a storyteller relive their life in front of their eyes. And watching Billy Hayes go back and relive this particular moment is an experience in itself.